Besides this blog, my professional job is as a clinical psychologist. I work in a private company called SPISS. We provide education, professional training, mentoring and family support for people with autism spectrum disorder (ASD). For many years I have, as a psychologist, focused on people with intellectual disabilities, mental health problems and eating disorders. For more information about our classes, please send me an e-mail! In the book Utredning og diagnostisering (Investigations and Diagnosis) published by Universitetsforlaget in 2008, I have written a chapter about How to diagnose eating disorders in adults with learning disabilities. In the book Utviklingshemming og habilitering (Learning disabilities and Habilitation) published by Universitetsforlaget in 2009, I have written a chapter about Quality of Life. The SOR Foundation has recently (2017), published an E-Learning education about autism. My contribution has been to write about Eating Disorders and Feeding Disorders among people with autism. This E-learning class is in Norwegian, but it is free and highly recommended for those of you with an interest in the field. As a psychologist I have through many years observed that people with mental and intellectual challenges have problems with reading normal cookbooks.  In our society we get an increasing access to a variety of different foodstuff. At the same time some people eat more and more prefabricated and unhealthy food. Together with Assistant professor, Sølvi Linde we received funds from Extrastiftelsen to develop a cookbook with this in mind. A book that would be easy to read, containing recipes that would be easy to make as well as with good and tasty food. Together with photographer Paal Hoff, graphic designer Einar Nilsson and food stylist Hege Jørgensen, we developed and published the cooking book; SÅ GODT! Here you can find an article from a Norwegian newspaper about “The psychologist that became a dinner-helper”. 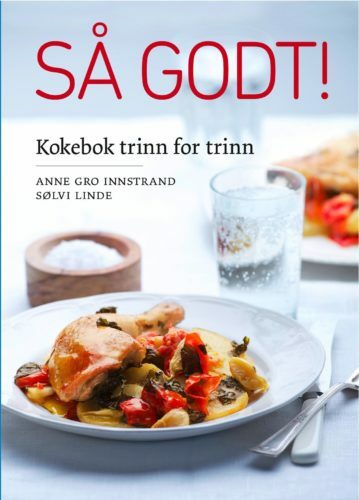 Anne Gro with the cookbook, SÅ GODT! SÅ GODT! received the honorable price of The best educative book of the year in the competition of The Most Beautiful Books 2011, by the graphic team, Grafill. The Jury’s comments was: “This is an extremely easy book to use. Without noticing and getting embarrassed, the reader gets access to recipes and the ability to make tasty and healthy food.” Have a look at the cookingbook! 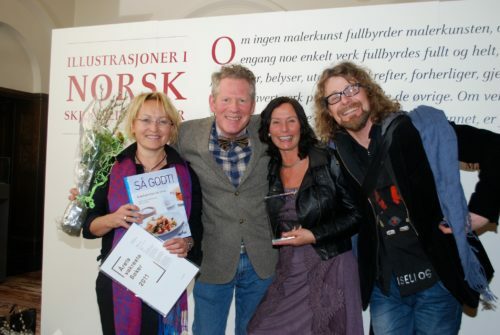 From the left; Anne Gro Innstrand, Paal Hoff, Sølvi Linde og Einar Nilsson. 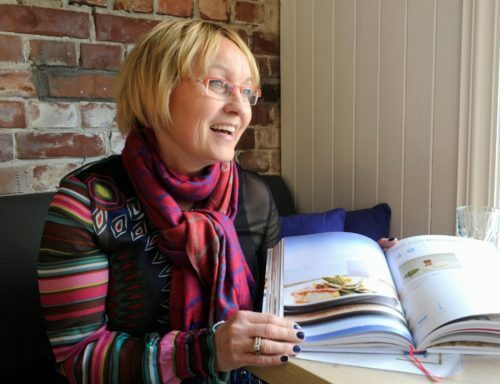 In 2015 the cookbook received another price called “Ordknappen”, from Leser Søker Bok, an organisation that focuses on making literature accessible to everyone. The Jury’s comments where that SÅ GODT! was a contribution to cultural democracy and made cooking easy for everyone. You are welcome to look at, and order, SÅ GODT! here: Universitetsforlagets nettbutikk. Ekebo at Nesodden, Norway. Photo: Stephen Hutton. 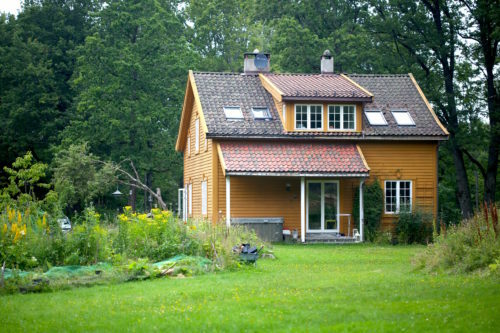 In Norway I live at Nesodden, South in Norway, on a beautiful small farm with the name Ekebo. Ekebo is run as co-operative farm based on principles of permaculture. Spinachbeet from our garden. Photo: Stephen Hutton. 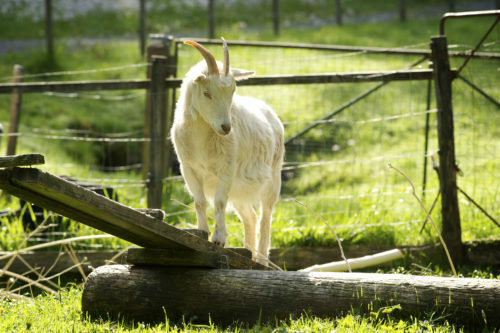 Over the years, together with other families, we’ve grown vegetables, kept chickens, rabbits, quail and ducks, done beekeeping and had goats for meat, milk and cheese production. Baby goat. Photo: Paal Hoff. 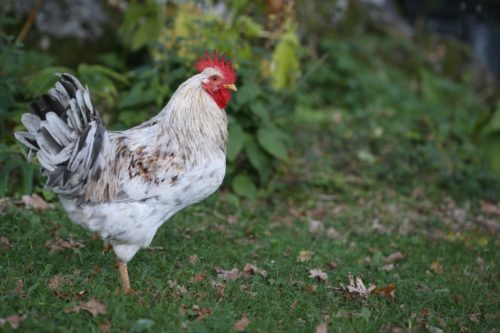 Our beautiful rooster. Photo: Stephen Hutton. 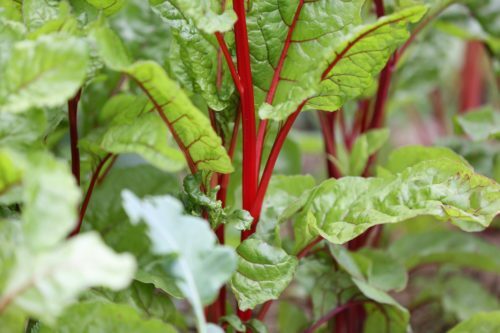 An important part of living at Ekebo is to make food outside in the garden. Here we are barbecuing goat meat. 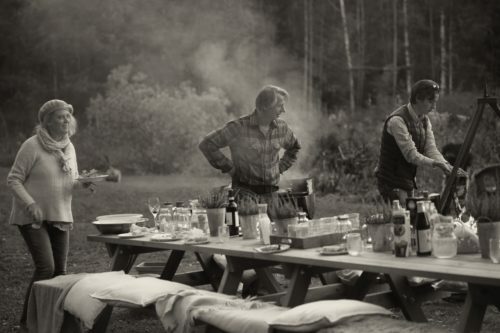 Barbecue in the garden, with my friend, Jørgen Lorentzen. Photo: Lone Klein. 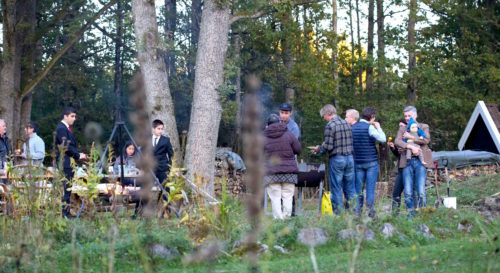 Barbecue in the garden, Ekebo. Photo: Lone Klein. 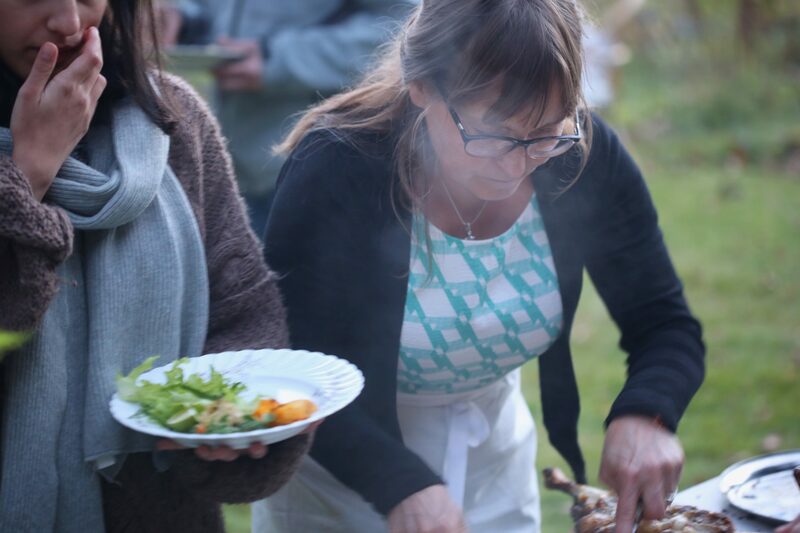 Co-operative farms have become very popular in Norway, and it is a growing interest in knowing where the food comes from and supporting local producers. At Ekebo’s facebook page you can see more pictures from the farm. Vincenzo Clemente is a chef and owner of CIN CIN, a famous restaurant in Palermo. Every day he offers tourists and visitors guided tours at the The Capo Food Market, in Palermo. He takes his classes shopping for ingredients in the market for the cooking class, and you will get to enjoy the vibrant atmosphere and taste Palermian delights of street food. Then you will go to the restaurant, and be guided through Sicilian cooking. With fresh seafood, vegetables of the season, local herbs and nuts, you will be cooking a beautiful, tasty lunch, and enjoy it as a meal all together. Have a closer look and be inspired by this video: Vincenzo on Australian TV “The Great Outdoors“. Are you planning to visit Palermo, and would like to book a cooking class, book here. 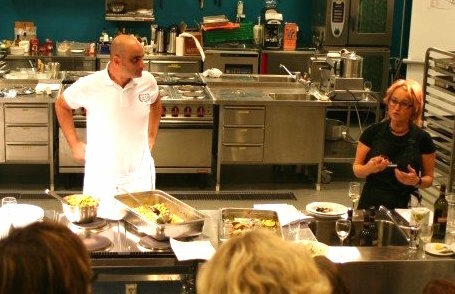 Vincenzo Clemente and Anne Gro Innstrand in Bergen doing a cooking class. At the Sicilian cooking class there will be served Sicilian wine. For more information, please send me an e-mail!